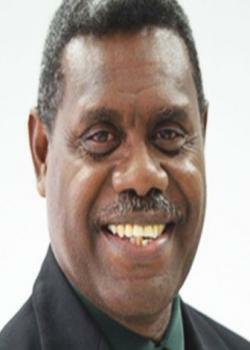 Sacked Solomon Islands Mining Minister and Member of Parliament for South Guadalcanal David Dei Pacha is the new Deputy Speaker of Solomon Islands Parliament. Pacha was elected unopposed to the post when Parliament resumed on Monday. Pacha and the Member of Parliament for East Fataleka Steve Abana were the two nominees for the position but the latter withdrew his candidacy prior to the resumption of Parliament. The Deputy Speaker position was vacated after the Member of Parliament for East Are Are Andrew Manepora was reappointed as Minister of Lands, Housing and Survey in the recent cabinet shakeup. That cabinet shakeup also resulted in the termination of Pacha as Minister of Mines, Energy and Rural Electrification. Parliament was adjourned again after the Deputy Speaker election until next Monday 28 August to allow the Public Accounts Committee to enquire into the 2017 Supplementary Appropriation Bill 2017.